Put 100 ml. 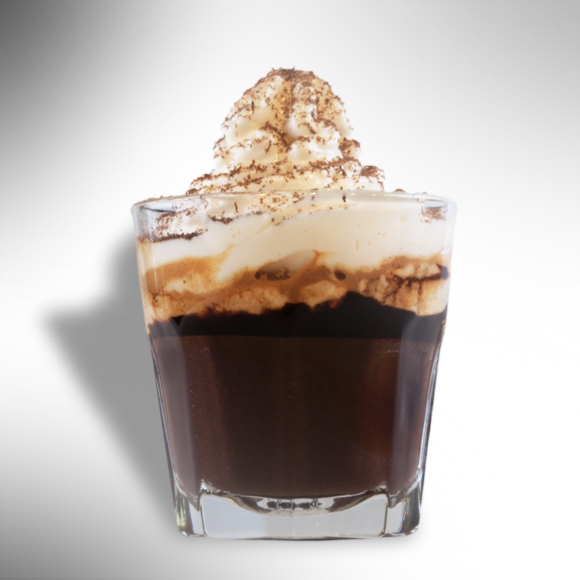 Of chocolate in the glass and add the espresso coffee carefully to reach two layers. Place about 30 ml of white chocolate mousse on the top and decorate with chocolate shavings.